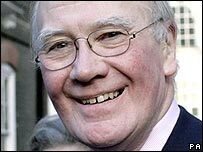 Political parties should be forced to reveal details of past loans under new funding laws, Liberal Democrat leader Sir Menzies Campbell has said. The government is proposing a ban on future loans being made in secret. But Sir Menzies said the new laws should be made retrospective, saying there appeared to be a link between large donors and peerages. He suggested having a £50,000 cap on donations by individuals and said there was a case for limited state funding. The Lib Dems have long argued for limits on donations. They also want to reduce the limit on election spending for each party from £20m to £15m. Former senior civil servant Sir Hayden Phillips is trying to find a consensus between the political parties on how they are funded. But Lord Chancellor Lord Falconer says urgent action is needed to make details of loans public. Sir Menzies said "transparency, transparency, transparency" should be the watchwords. "There should be no secret loans of any kind, and if the lord chancellor is proposing that in legislation currently before Parliament, that's something we will most certainly support," he told BBC Radio 4's Today programme. "But I think it should be retrospective. I think we should know precisely who lent money to the Conservative Party and how much; and who lent money to the Labour Party and how much." Sir Menzies said peerages had not been sold in the way ex-Liberal Prime Minister David Lloyd George had sold them. "But I think there has been a link between generosity and preferment, and whenever a link of that kind is established then that is bound to raise suspicions in the minds of the general public and, more particularly, in the minds of MPs and members of the House of Lords," he argued. Sir Menzies said his party had not nominated anyone for a peerage who had lent it large sums. The Lib Dems had received loans from three people in the period before the general election and had declared their names and the sums lent, he said. Lib Dem Treasury spokesman Vince Cable says Labour is suffering from negative equity, with its loans outweighing its assets by £2.375m. Mr Cable said Labour's property portfolio, according to accounts for December 2004, was worth £9.125m while there were £11.5m in overdrafts and long-term loans. Since then, Labour has been lent millions of pounds in secret loans, it has now emerged. Tony Blair has denied nominating people for peerages in return for receiving large loans or donations.